**Sponsored post. Opinions are my own. Please read our disclosure policy for more info. I wanted to share a affordable Halloween costume ideas, using dress up accessories from SmitCo LLC. This is a DIY, mix and match costume. Mixing pieces your little one make already have. 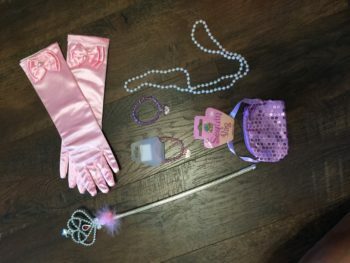 We received the and my daughter Charmingly CJ, said “I can make my own princess costume.” Which is a wonderful idea. 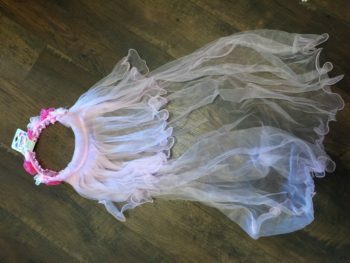 It’s a way to up-cycle old princess dresses that she has and give them a second life. 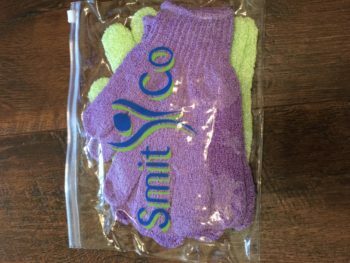 We received the Little Girls Dress Up Kit and as a bonus we were also sent the SmitCo Exfoliating Shower Bath Gloves. Both of these can be found on Amazon. Charmingly CJ really liked the dress up kit. It’s hours of fun. Here’s a look at what we received. 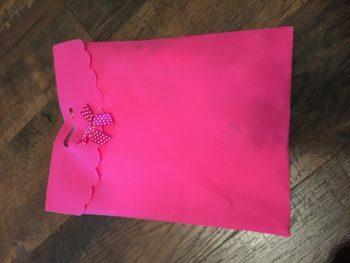 And it came with this cute bag to store the costume in. Here are the exfoliating gloves we also received. I used them with my favorite body scrub.